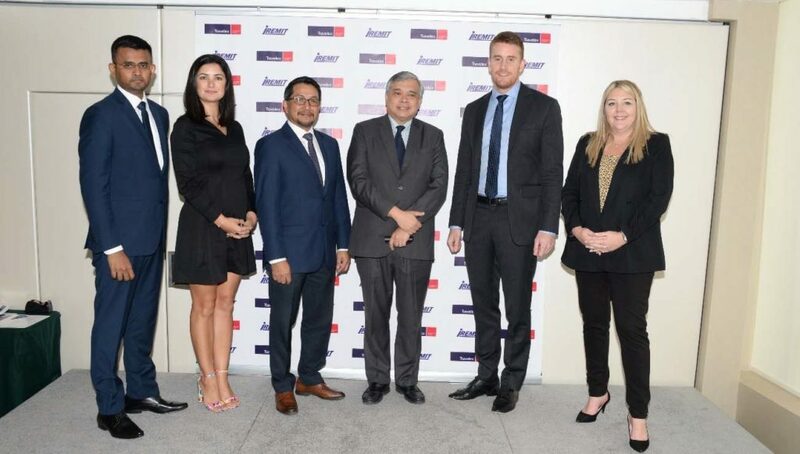 I-Remit Inc. (PSE: I) and Travelex have inked a partnership aimed at providing Filipino remitters in Bahrain the ease and convenience of sending and receiving money between Bahrain and the Philippines. Travelex is a leading foreign exchange specialist and this new service will be accessible at all 25 branches across the Kingdom, including five airport stores which offer remittance and FX products. Founded in 1976, Travelex Worldwide is present in 70 countries across the globe, with more than 1,500 stores. It processes over 70 million transactions yearly, with products encompassing FX, VAT Refunds, Remittance, Prepaid cards and IMT. (From left to right) Sudarshan Subramaniam, Travelex Head of Remittance Strategy – Middle East; Joanna Abou Jaoude, Travelex Head of Marketing – Middle East; Harris D. Jacildo, President of I-Remit Inc.; Alfonso A. Ver, Philippine Ambassador to Bahrain; Tom Fane, Travelex Managing Director – Middle East & Turkey; and Jacqueline Nosworthy, Travelex Bahrain General Manager. In celebration of the new partnership, remitters sending money to the Philippines via I-Remit can avail the best rates in Bahrain over the next three months and enjoy a host of other exciting benefits.